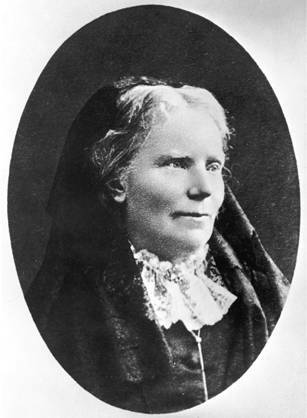 Elizabeth Blackwell’s parents were Quakers. They believed in equality and educated their sons and daughters equally. So, when Blackwell decided to be a doctor, her family was totally supportive. Convincing the rest of the world, however, was not so easy. Blackwell was ten when her family moved from England to New York. When her father’s business failed, they move to Cincinnati. Shortly after settling there her father died, leaving the family without income. Blackwell became a teacher, but she didn’t find it intellectually stimulating enough. When her girlfriend, Mary Donaldson, got cancer she believed that her suffering would have been less if she could have been treated by a woman doctor. Donaldson tried to convince Blackwell that she had the intellect and personality to be a great doctor. As a student, Blackwell was not interested in the sciences, preferring metaphysics and history. But, her friend’s request haunted her, and she decided to go for it. GETTING INTO MEDICAL SCHOOL Blackwell’s first course of action was to write letters to several physicians to solicit their advice about applying to med school. All six contacts advised her to give up the idea as it was impossible for a woman to get a medical education. Dr. Joseph Warrington said in a letter, “Elizabeth, it is of no use trying. Thee cannot gain admission to these schools. Thee must go to Paris and don masculine attire to gain the necessary knowledge.”1 Blackwell was not discouraged. While she worked as a governess for Dr. John Dixon, of Ashville, North Carolina, she started educating herself in science and classical languages by reading the books in his library. She moved to South Carolina, supported herself by teaching music lessons, and continued her homeschooling from the library of Dixon’s brother. With a solid background and determination, Blackwell applied to 13 medical schools. She was rejected outright from every one of them because she was a woman. This discrimination was foreign to her egalitarian upbringing. Finally, the faculty of Geneva College in upstate New York (now Hobart College) asked the students to decide Blackwell’s fate. They unanimously agreed to admit her because they thought her application was a joke. In 1846, Blackwell matriculated, and she graduated two years later, the first woman to receive a medical degree in the United States. Eventually she won over her fellow students by her intelligence and commitment, but she was shunned by the citizens of Geneva who believed her career choice was very inappropriate. On January 23, 1849, the same ladies who were rude to Blackwell had a change of heart with her success. They packed the Presbyterian Church to witness her historic accomplishment, applauding enthusiastically when she received her diploma. During the ceremony, Charles Lee, Dean of Geneva Medical College, expressed his respect for the first female medical graduate, but in the program he added a footnote that said he supported medical training for qualified women, but the “inconveniences attending the admission of females to all the lectures in a medical school, are so great, that he will feel compelled on all future occasions to oppose such a practice …”2 Her success was inspiring to other women, however, and within three years of her graduation, twenty women completed medical training at various colleges. WHAT’S A GIRL TO DO…WITH A MEDICAL DEGREE? After graduation, Blackwell planned to spend a few months in Philadelphia, studying personally with a Dr. Bryan, and then go to Paris and eventually return to New York to establish her practice where she could expect to earn six thousand dollars a year. After some time in London studying at a hospital, Blackwell did go to Paris. The only opportunity open to her there was to train to become a midwife. While she was in Paris she contracted “purulent opthalmia” and lost the sight in one eye. This forced her to abandon her dream of becoming a surgeon. In 1851 she returned to New York City and at age 30 tried to set up her own practice. People were hesitant trust her as a doctor, so she had to consider another options. She opened a dispensary to give out-patient treatment to poor women and children. In this setting, she wasn’t able to accomplish as much as she hoped, so in 1957 she closed the dispensary and opened a hospital, the New York Infirmary for Indigent Women and Children (now the New York University Downtown Hospital). Her partners were two recent medical school graduates: her sister Dr. Emily Blackwell, and Dr. Marie Zakrzewska. Even though Blackwell was a busy professional woman, something was missing from her life. She was never interested in marriage, but she adopted an orphan girl named Katherine “Kitty” Barry. Blackwell and her daughter made periodic trips to England, and she also made history there. In 1859 while in London, she was the first woman to have her name entered into the Medical Register of the United Kingdom. HELPING OTHER WOMEN FOLLOW IN HER FOOTSTEPS Back in the States, when the Civil War broke out, Blackwell helped create the Women’s Central Association of Relief, training nurses to treat the wounded soldiers. Her work at the hospital was going well, but she was committed to opening a medical college for women. In 1868 Blackwell founded The Woman’s Medical College of the New York Infirmary to provide training for female medical and nursing students. Blackwell was the Professor of Hygiene, and Emily was the Professor of Obstetrics and Diseases of Women. In 1869, Blackwell left Emily in charge, and she and Kitty returned to England where they lived for the rest of Blackwell’s life. She helped to create the National Health Society, established a private practice and taught gynecology at the London School of Medicine for Women, which she helped to found, and the London School of Medicine for Children. In addition to the demands of a pioneering, practicing doctor, Blackwell found the time to write six books focusing on hygiene, the medical treatment for women, raising healthy children, and her autobiography. On May 31, 1910, Blackwell, 89 years old, died in Hastings, England. She was buried in Kilmun, in the Highlands of Scotland, one of her favorite places on earth. QUESTION: Have you ever done something that most people thought was wrong but that you knew was right for you? Was it easy or hard? Were you successful? Elizabeth Blackwell’s autobiography, Pioneer Work in Opening the Medical Profession to Women, published in 1895, is out of print. I could not find it anywhere online or in any local libraries.